Babcocks’s Remotely Piloted Aircraft System (RPAS) LUA was successfully presented in flight demonstration. 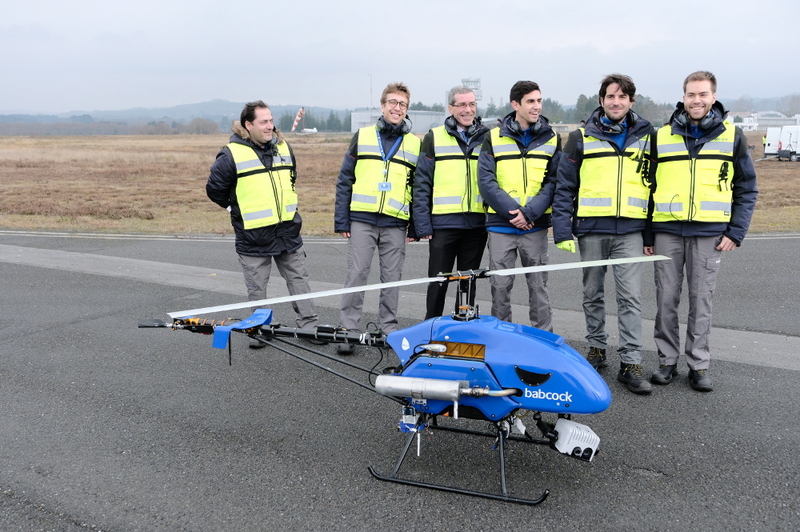 On January 15th, Babcock’s Remotely Piloted Aircraft System (RPAS) LUA performed its first public demonstration flight in Rozas aerodrome, Lugo. 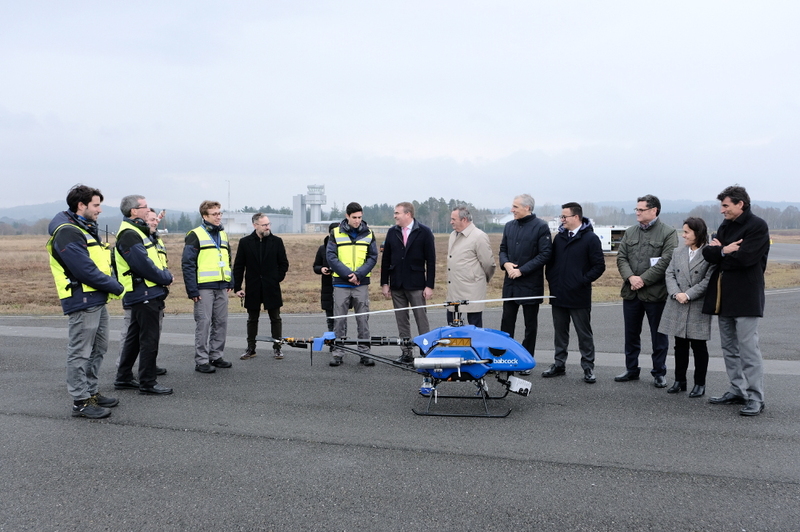 The event, which was attended by several representatives from the regional government (Xunta de Galicia), consisted in a formal introduction to Babcock’s firefighting system (LUA & Einforex) plus a short demonstration flight. Mario Campos (PildoLabs Galaica), aircraft maintenance and design technician, acted as LUA’s remote pilot during the flight demonstration. LUA RPAS consists in an unmanned helicopter with an under 25 kg takeoff weight, 7 kg loading capacity, more than 2.5 hours autonomy (with 3 kg payload) and a range of 30 km measured from its ground station (determined by its radio link). On the ground, the system is composed by a mobile unit used for LUA’s control, sensors operation and airspace coordination management. All together enabling the safe operation of LUA with existing piloted rotorcrafts participating in a fire fighting campaign. The whole system has been specifically designed to provide assistance in emergency operations. Thanks to the agile equipment setup and the accurate deployment procedures, two operators are able to deploy LUA in less than 15 minutes. PildoLabs, through its new branch PildoLabs Galaica, is in charge of the development and integration of on-board and ground systems that allow a safe coordination between manned and unmanned aircraft, including a full traffic coordination position and the required concept of operations definition and safety case.